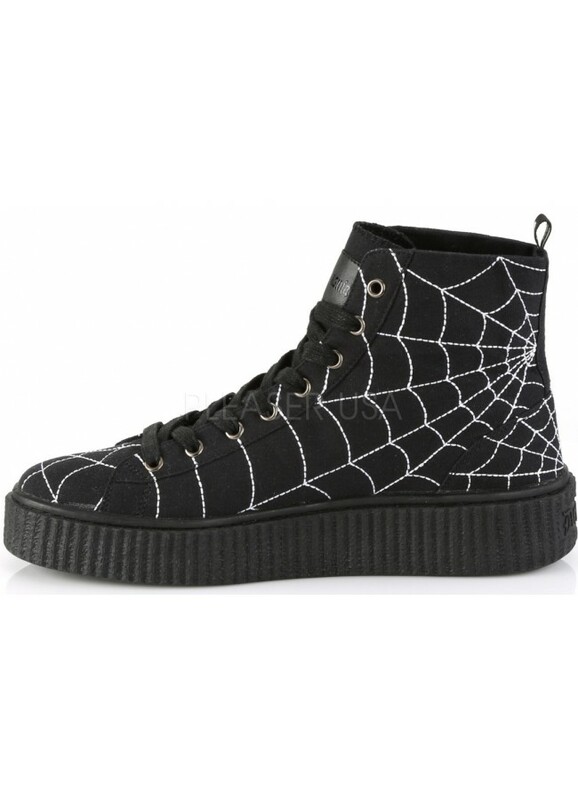 Spiderwebs cover this entire black high top canvas sneaker by Demonia perfect for men or women. 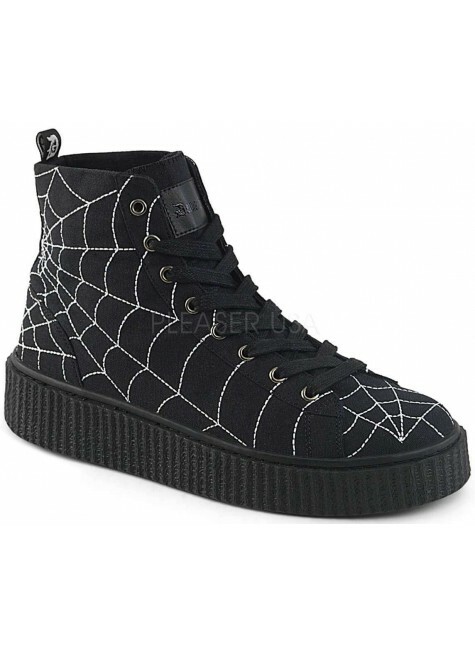 Embroidered spiderweb high top black canvas Gothic sneaker for men or women. 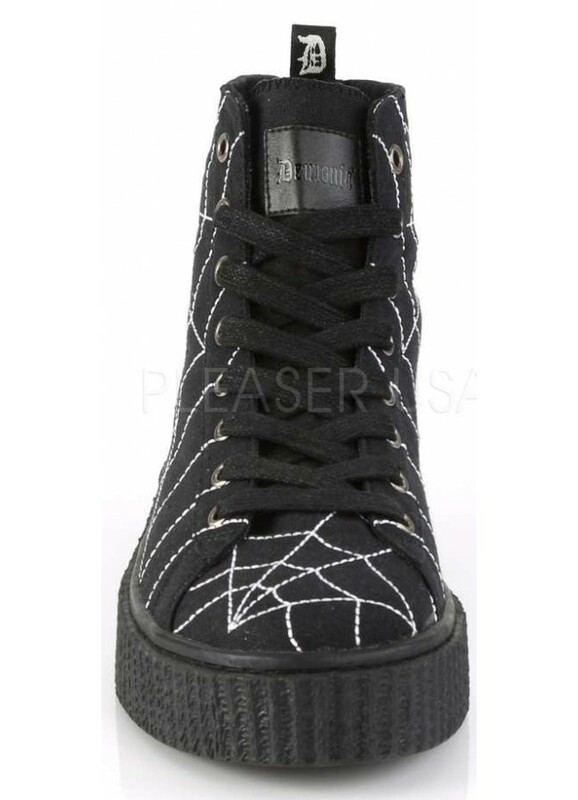 Round toe with a 1 1/2 inch rubber platform heel, this unisex sneaker has a lace up front with inner zipper. 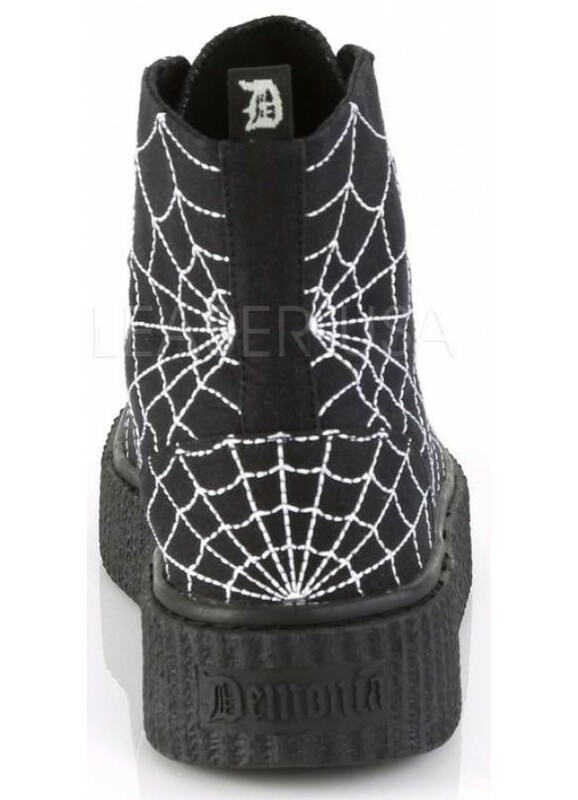 They have a Demonia logo on the tongue and embroidered D back pull tab. 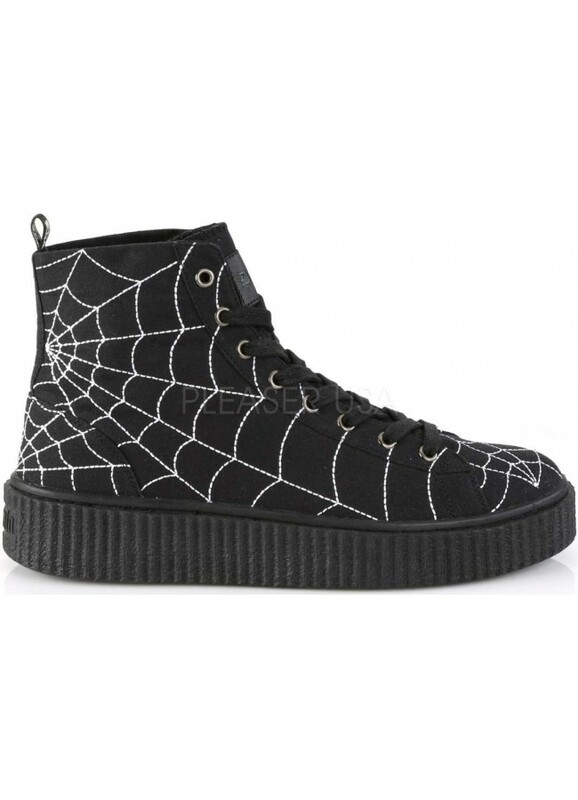 Item Number: PL-SNEEKER-250 | Approximate Size (Inches): 12.00 wide x 14.00 deep x 6.00 high | Approximate Shipping Weight: 4.00 lbs.